This adorable two-tone "Dance" duffle features embroidered lettering, a girly screen-printed heart and flower design, handy inside and outside pockets, an adjustable shoulder strap, and a personal I.D. tag. 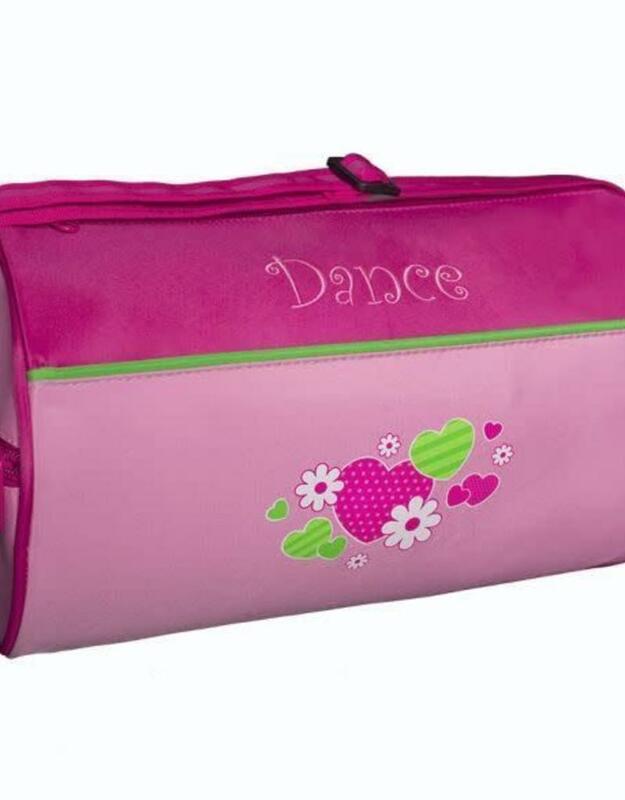 It's the perfect bag for holding your little dancer's essentials!